Assembed unit, tested and ready to use. 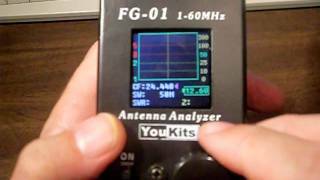 New Antenna impedance scan function! 14 hours working time with full charged 18650 battery pack.